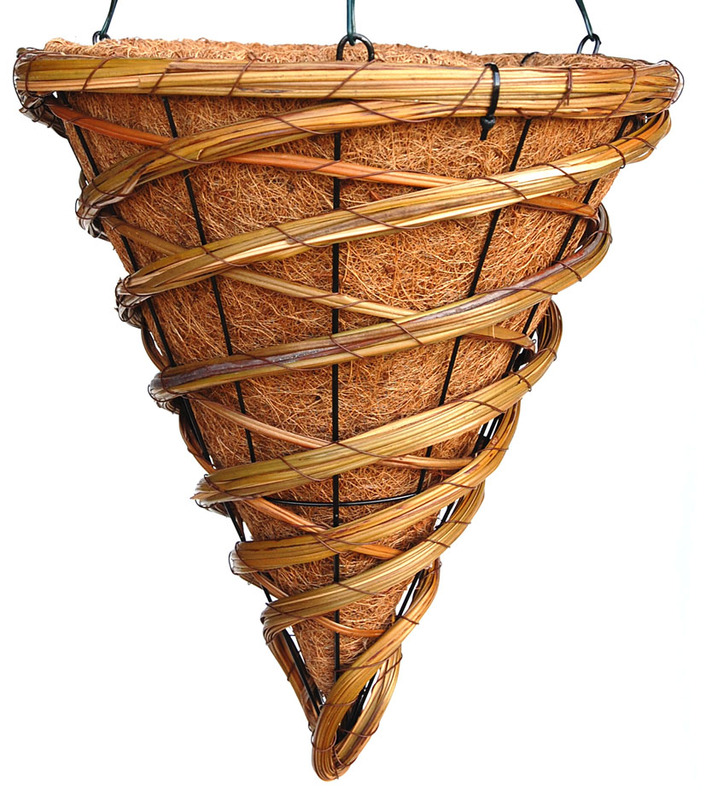 Swirl multicolored rattan cone hanging basket - 16"
Home > PLANT CONTAINERS Iron, CocoMoss, Rattan, Willow, Naturals, Bamboo and more. > Natural planters - rattan and others > Swirl multicolored rattan cone hanging basket - 16"
Swirl finish multicolored rattan rope formed around rigid black steel frame. Full hand formed coco moss insert. Comes with black rigid hanger.